And, yeah, here is the final product. It’s kind of embarrassing to look at, actually. As you can probably guess, this might not be the best option to eat if you care at all about eating like a lady. But it was delicious. Chris said that if this sandwich were on the menu at our favorite local burger joint, he would order it instead of the classic cheeseburger (grain-free bun and all!). That is a big deal, you guys. Heat the butter in a large pan over medium heat. Add the mushrooms and onions. Turn heat down to low and cook, stirring occasionally, until the onions are soft and golden (but not brown) and the mushrooms are tender. The longer and slower you can cook your onions, the better! Meanwhile, season your steaks with a generous shake of salt and pepper on both sides, and leave at room temperature for about 30 minutes. Make the aioli. 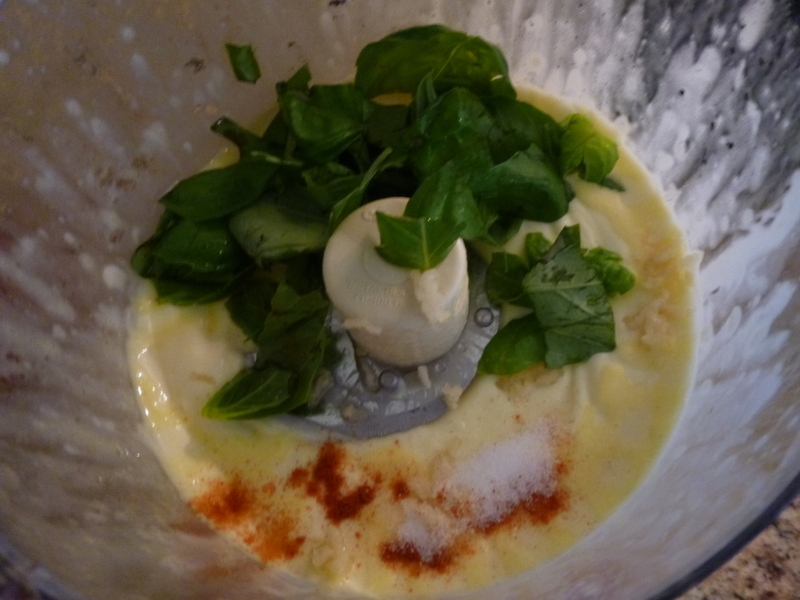 Place the egg, lemon juice, and dijon mustard together in a blender or food processor. Slowly, drop by drop, add the oil until it emulsifies. 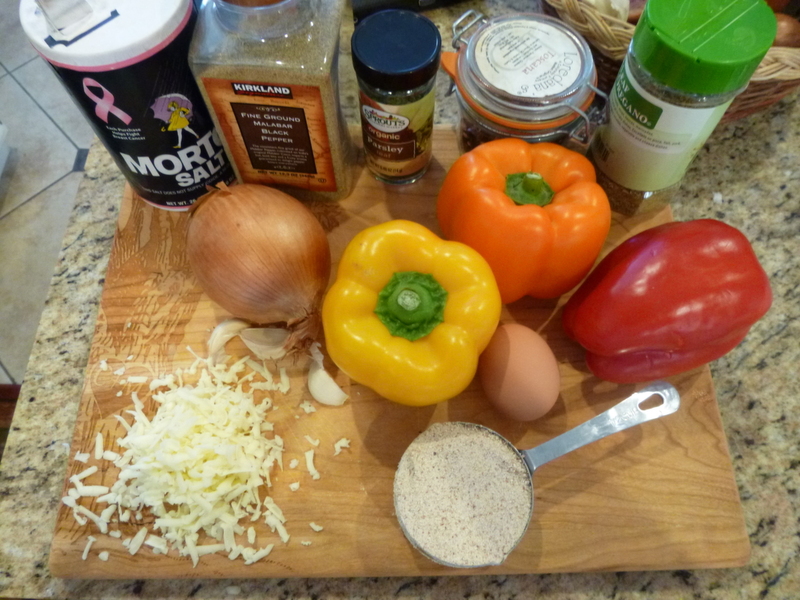 Then add in all remaining ingredients and blend until well incorporated. Place in the refrigerator until it’s time to assemble sandwiches. Sear the steaks over medium-high flame for about 5-7 minutes on each side depending on thickness, until a thermometer reads 135-140 degrees (if you like your meat medium). Let rest 5 minutes. Slice the meat thinly. 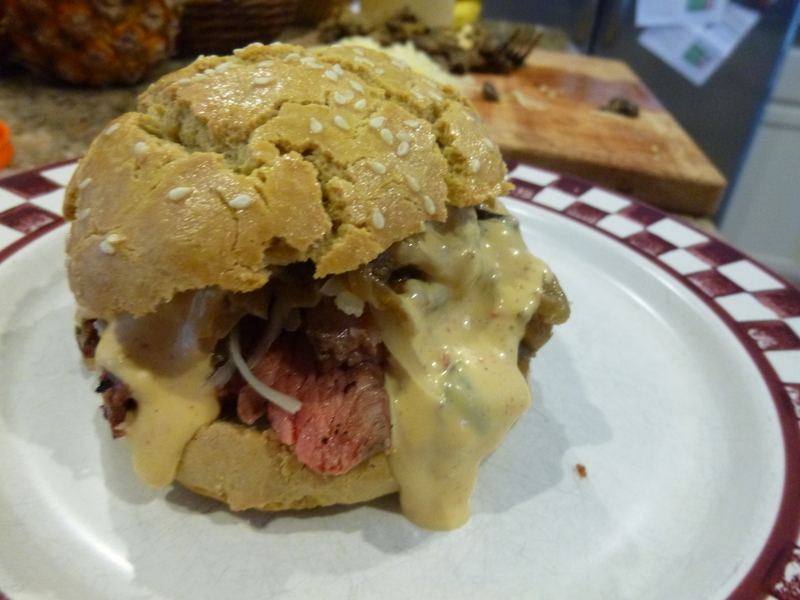 Layer the meat, then cheese, then onions, then mayonnaise on a bun. Make sure you have plenty of napkins handy and dig in! 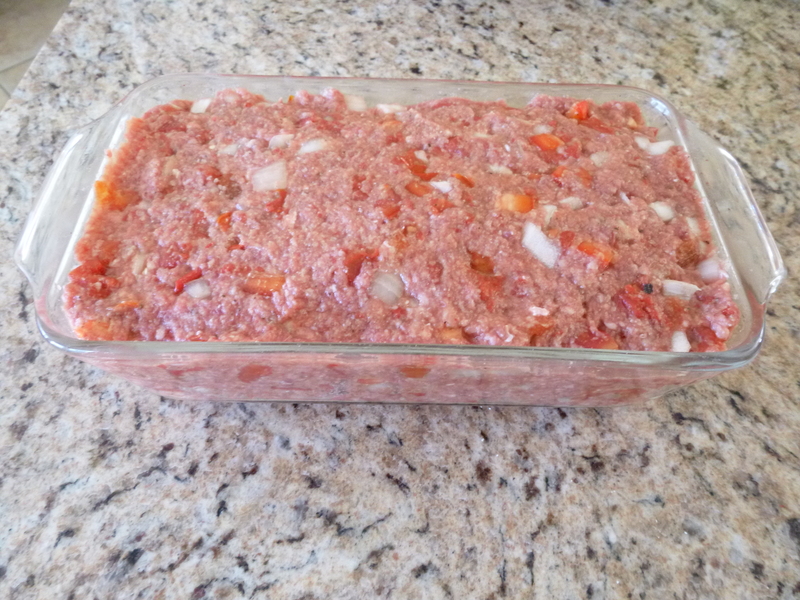 Is it weird that this is my second meatloaf recipe to post already? Meatloaf is just so comforting and homey and hard to screw up too badly. 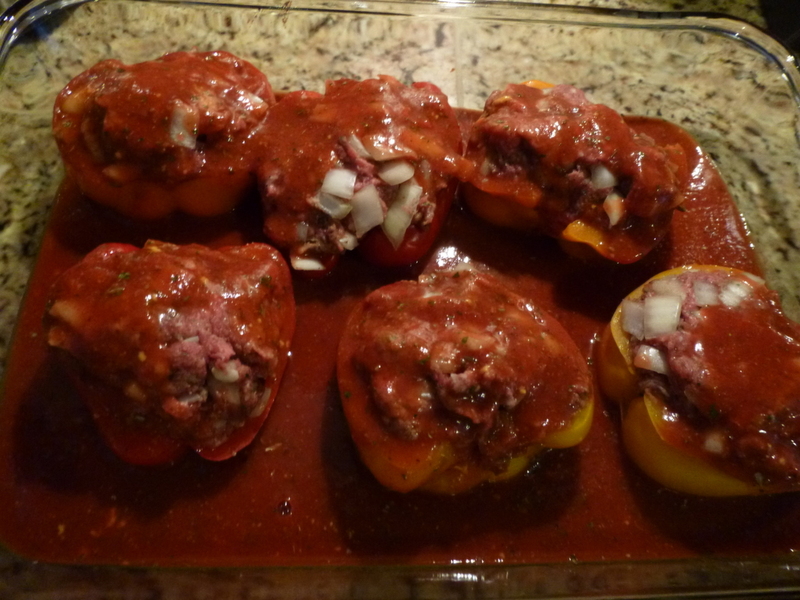 Plus I had found a gigantic bag of beautiful bell peppers in Costco, that once again I couldn’t pass up, and stuffing them with meat was an obvious way to use up a bunch of them. 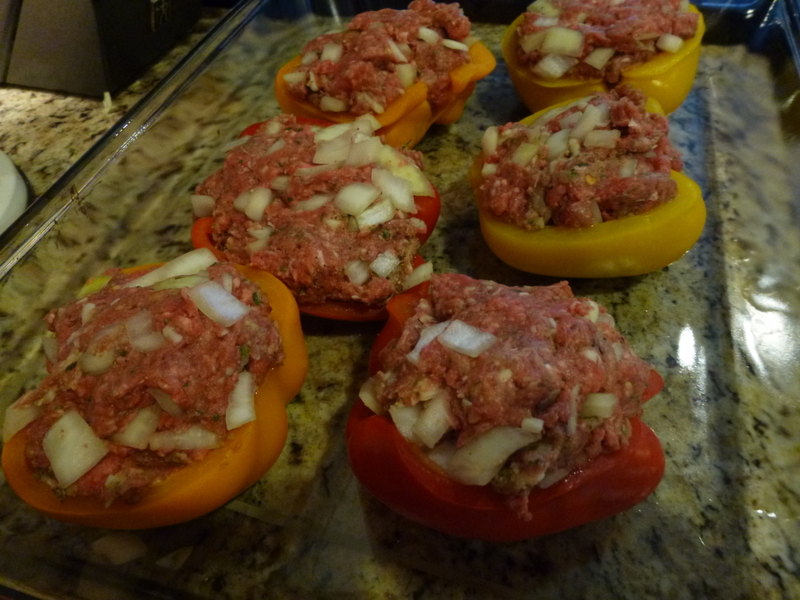 The filling is a pretty traditional meatloaf, which cooks a little faster in the bell pepper shells since it is smaller than a whole loaf. Plus you get a little boost of nutrition from the bell peppers and the generous addition of sweet and tangy tomato sauce. The ingredient list is pretty long, but it’s mostly a lot of spices and, honestly, you probably have most of this stuff in your kitchen right now. This is what the cleaned and halved bell peppers should look like. On goes the tomato sauce. We ate ours with a little spoonful of kefir cheese on top, but this is totally optional! Bring a pot of salted water to boil and blanch bell peppers for five minutes. 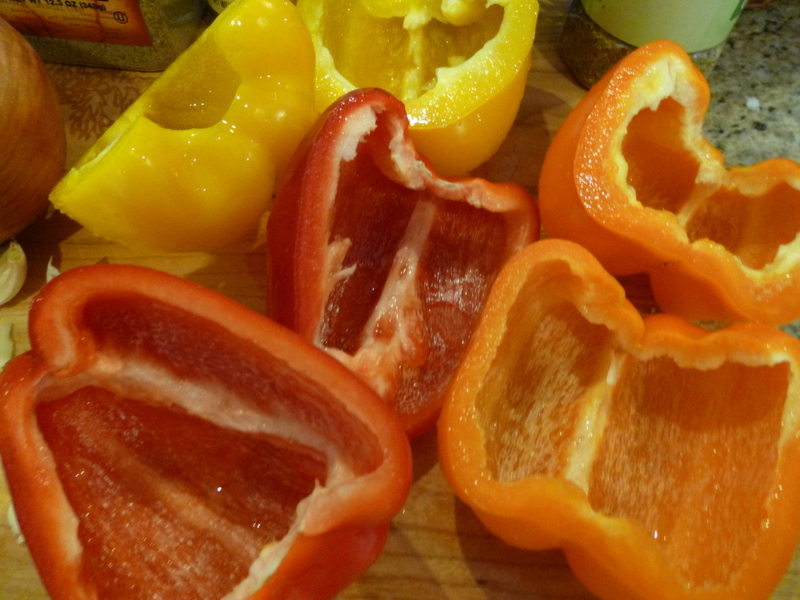 Place blanched peppers in a roasting pan, hollow side facing up. 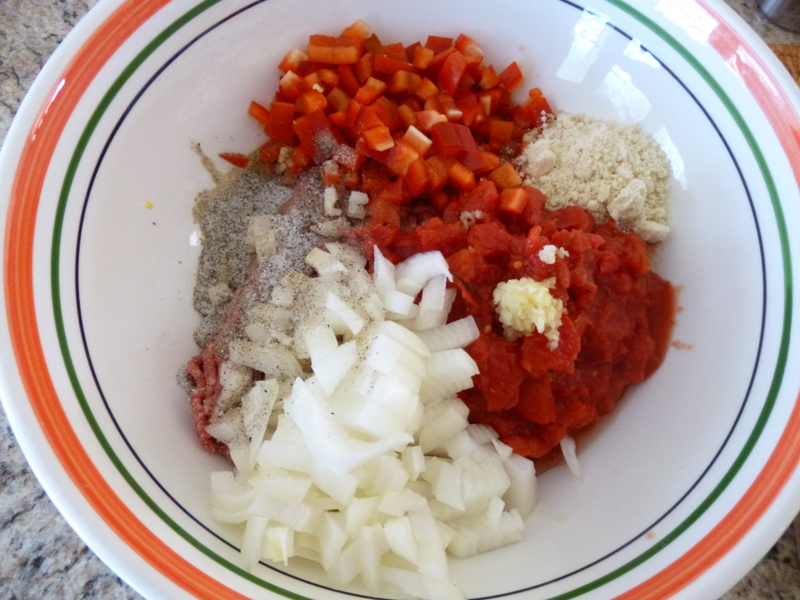 Combine all other meatloaf ingredients in a bowl and mix until just blended. Divide the mixture between the bell pepper halves and stuff, pressing down just enough to hold the meatloaf mixture together. 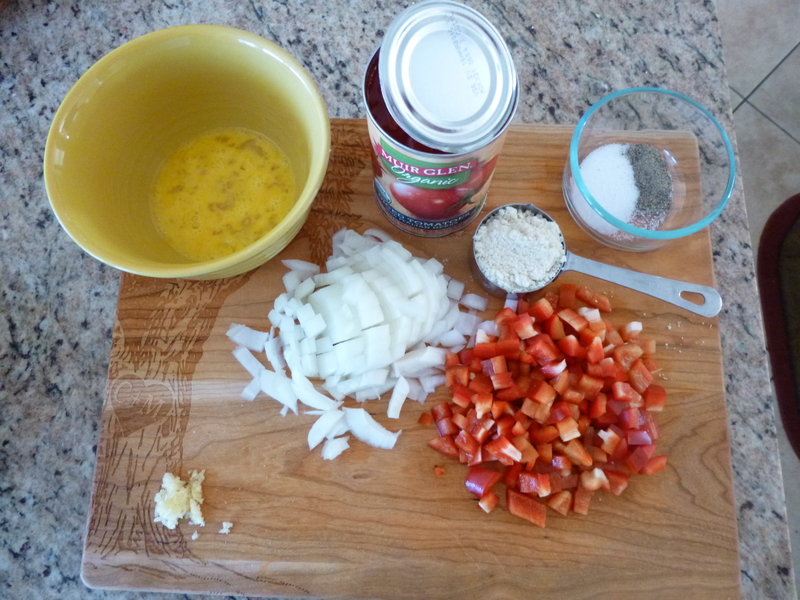 Combine all tomato sauce ingredients in a bowl and pour over and between the stuffed bell peppers. Bake uncovered for 50 minutes, until a thermometer reads 160 degrees in the thickest part of the little meatloaves. If desired, top with more shredded cheese in the last ten minutes of baking; or, top with a spoonful of cultured creme fraiche or kefir cheese (as I did) after removing peppers from oven. 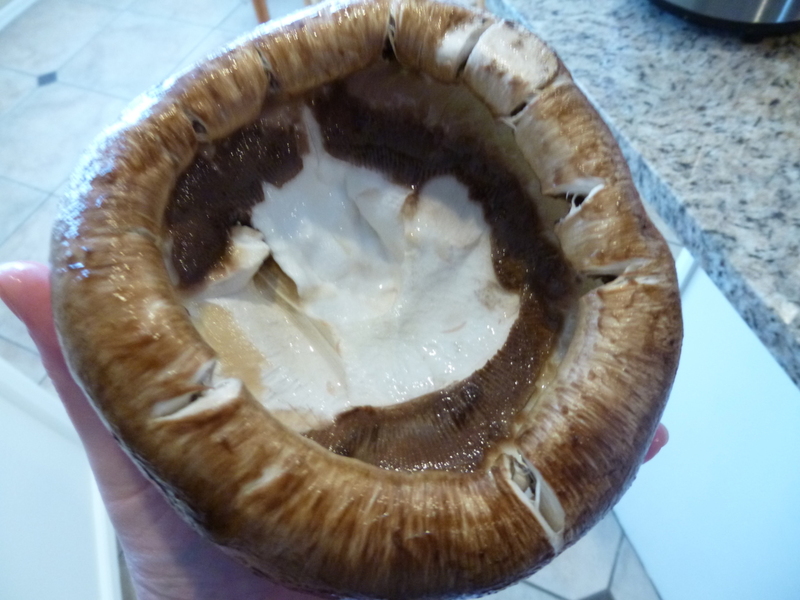 We went to Costco last weekend with Chris’s mom and sister and we discovered the biggest mushrooms in the world. 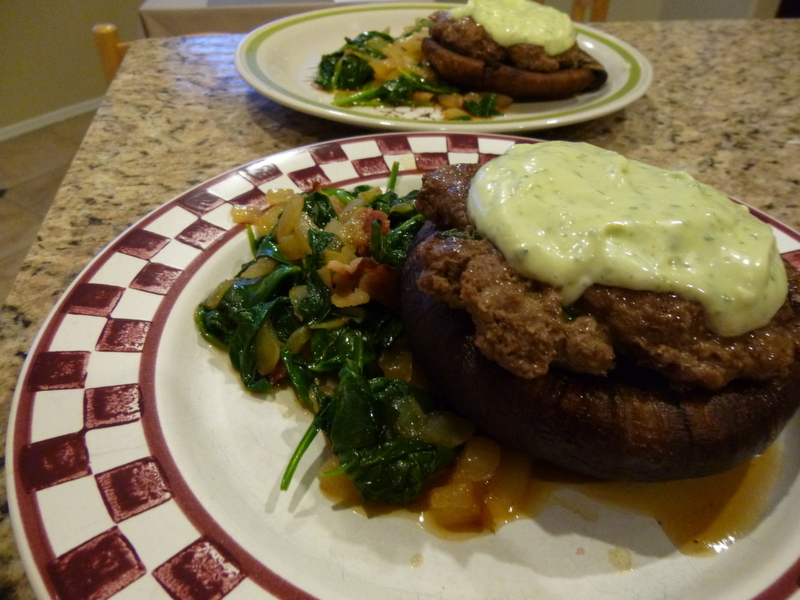 I had not planned on cooking with mushroom caps, but we couldn’t pass these up. Is it portobello, portobella, portabello, or portabella? Nobody knows! I looked it up and they are all acceptable variants, but “The Mushroom Council” goes with the double a spelling, so I will, too. I wouldn’t want to cross The Mushroom Council. Anyway, I think the nutritional value of mushrooms is underappreciated. They are an excellent source of selenium and a very good source of most B vitamins. They contain substances that balance the immune system. That is, they don’t just rev up the immune system, which is bad for people with autoimmune disorders who already have an out-of-control immune system; they actually alter the way the immune system works to encourage appropriate and balanced immune response. They also block production of pro-inflammatory molecules, which can help reduce or prevent chronic inflammation. Double bonus for us! 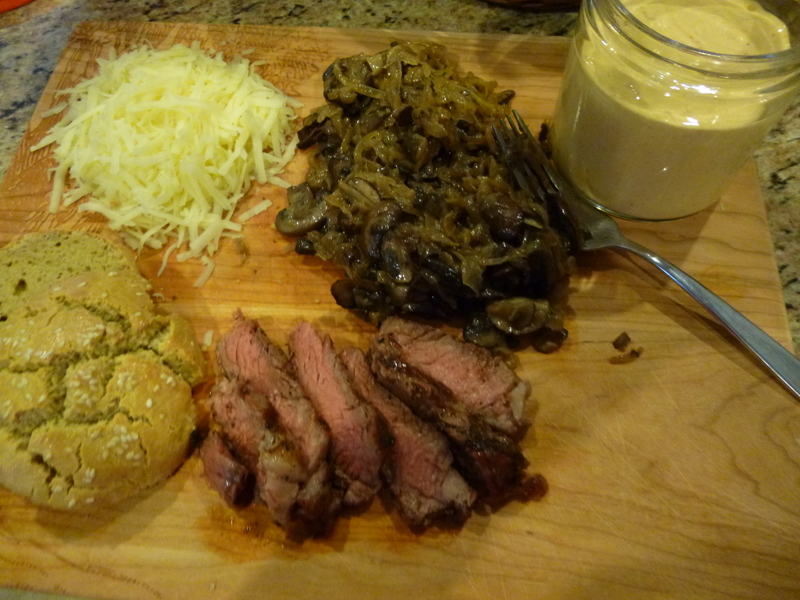 In addition to all this, mushrooms are a culinary delight. 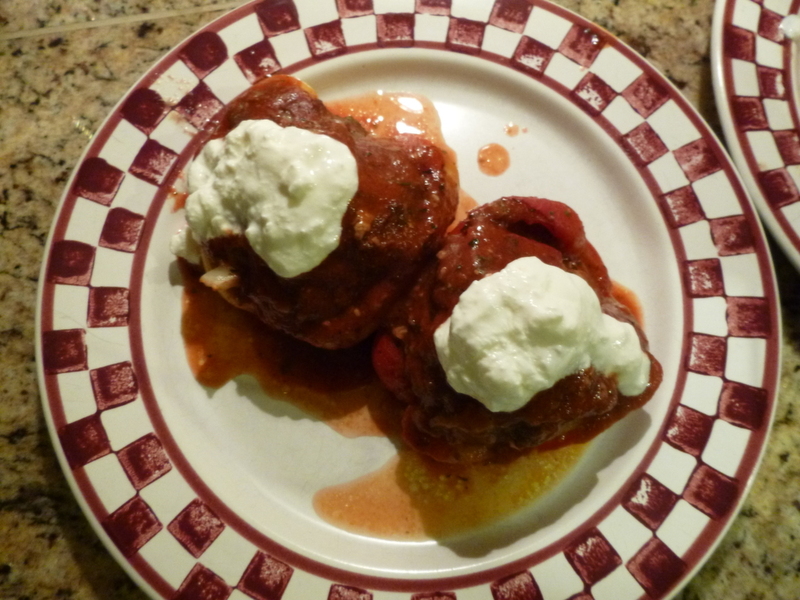 They are simple to cook and they develop a wonderful meaty texture and earthy flavor. While they pack a big punch, they are really low in calories. We are talking around 30 calories for an entire mushroom cap, which can make mushrooms a great choice for people who are actively trying to lose weight. 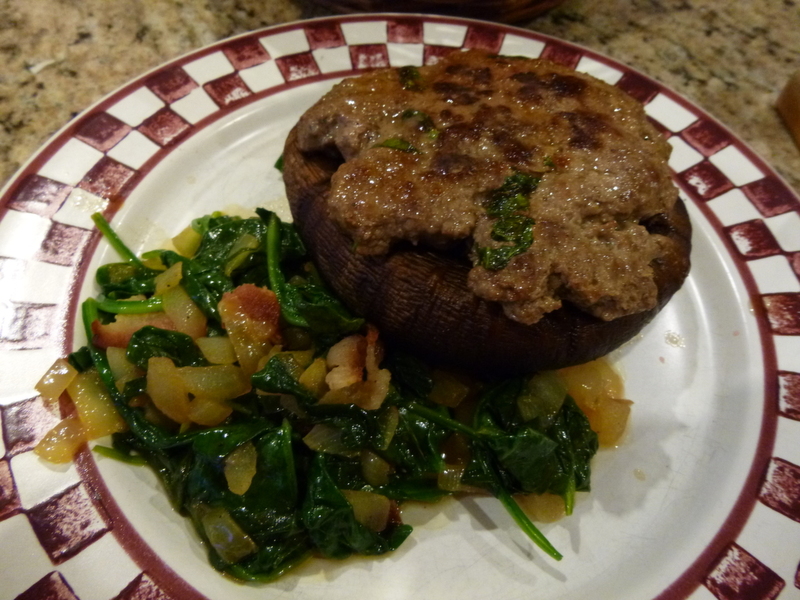 When we got home with our Costco haul I went to work figuring out how best to use our mushroom treasures, and this is what I invented, loosely inspired by Everyday Paleo’s Basil Pork Burgers, which we have made and loved many times. Start with the mayo so you can have it prepped and can keep it refrigerated until ready to serve. 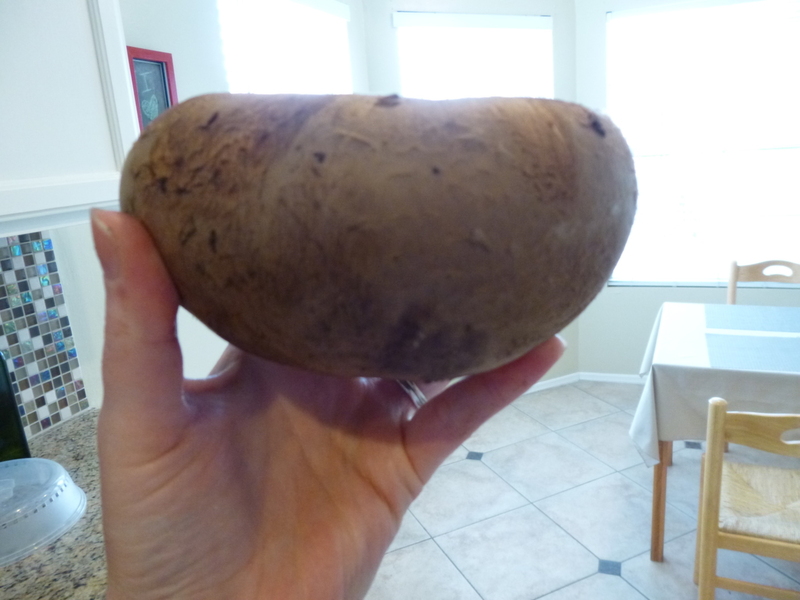 I learned to make homemade mayo thanks to Everyday Paleo. Here is her demo. Her basic mayo recipe has never failed me and is one of very few recipes I know by heart! Here I take her basic mayo recipe (already mixed up in the bottom of the food processor) and add in seasoning and fresh basil and garlic. Now on to the mushrooms. See what I mean? Biggest. Mushrooms. Ever. This is what they should look like cleaned out. You can still see a little texture where the gills were but most of them have been scooped out. Here they are ready to go into the oven. While they are baking, get your beef patties on the stove. When the beef, spinach, and mushrooms are all done cooking, assemble! Put the egg, lemon juice, and mustard in a blender or food processor. Blend until combined. Add the oil, drop by drop. It will take some time but eventually the mixture will emulsify and thicken. Once it does, turn the food processor or blender off. You don’t want to overprocess. Add the basil, garlic, oil, salt, and pepper. Blend again just until well combined. Refrigerate until ready to use. Drizzle a bit of olive oil over each mushroom cap, rub it all over both sides with your hands, and sprinkle with salt and pepper. 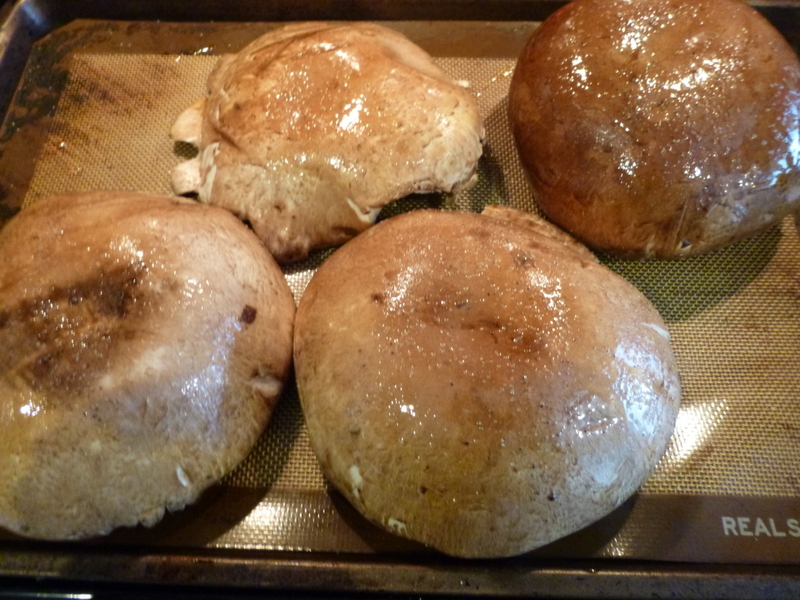 Place mushroom caps on a rimmed baking sheet (because they will release a lot of liquid as they cook) and bake for 20-30 minutes depending on size, flipping once. While the mushrooms are baking, combine all remaining ingredients in a bowl. 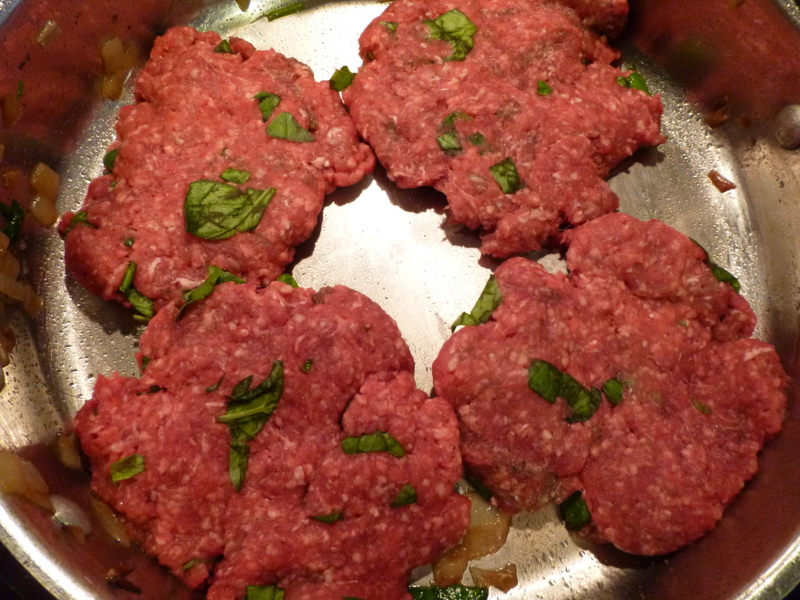 Mix well and shape into 4 patties. Heat a large pan over medium-high heat and sear on both sides, until a thermometer inserted at the thickest point reads 160 degrees Fahrenheit, or until the beef is cooked to your liking. Heat pan until very hot. Add bacon and cook on both sides until crispy and browned. Remove bacon, tear or crumble it into pieces, and set aside. Turn heat to medium and add diced onions. Cook until soft. 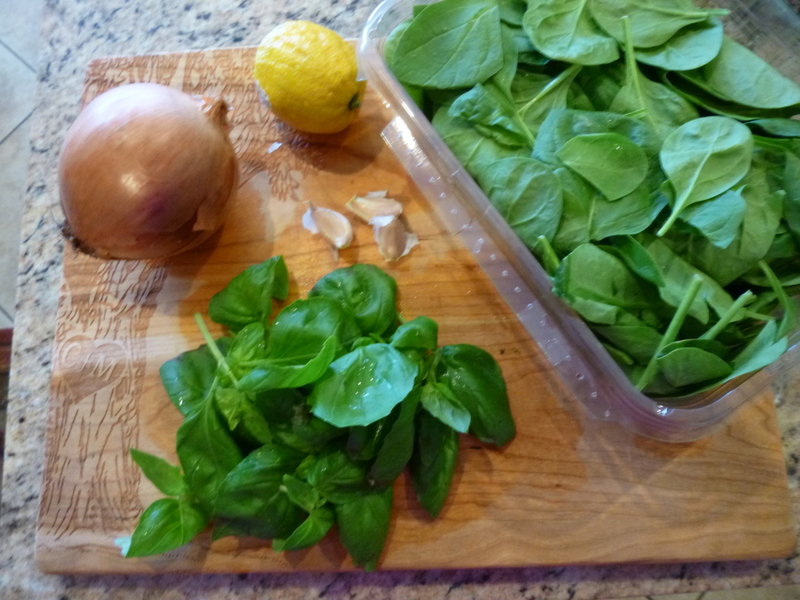 Add baby spinach and chicken stock. Toss a few times until just wilted and remove from heat. Add balsamic vinegar. Taste and adjust seasoning, adding more salt and pepper until it is seasoned to your liking. 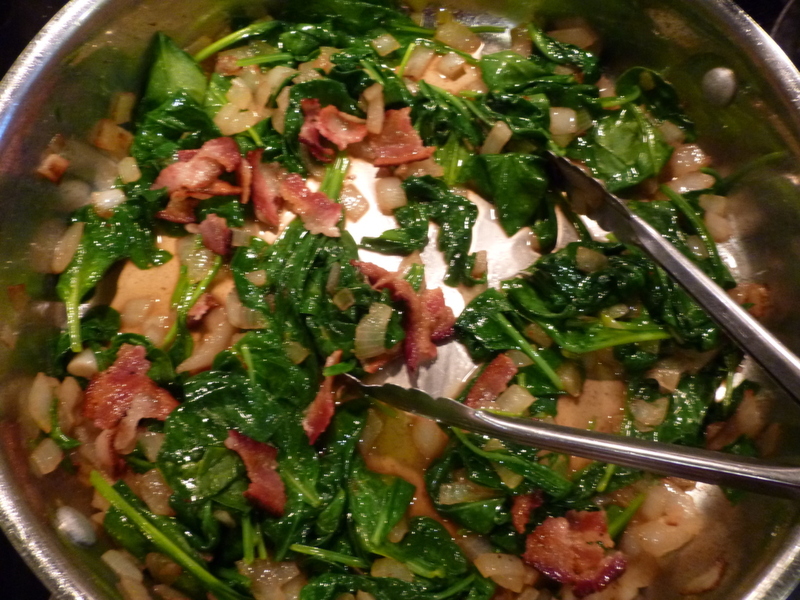 To assemble, place a serving of spinach on each plate. Top with a mushroom cap (hollow part facing upward) and a beef patty. Add a generous dollop of homemade mayo on top, or get fancy and drizzle it across the whole dish. *I have been eating raw eggs my whole life and have never gotten sick from them. Food poisoning can be especially dangerous for people with IBD, however, so I have recently switched to using pasteurized eggs if I am planning on eating eggs raw or undercooked. If you are serving this mayo to anyone with a compromised immune system, pregnant women, young children, or the elderly, you should really make an effort to acquire pasteurized whole eggs (they sell them at every Sprouts in my area) or look into pasteurizing your own eggs at home, because salmonella can be quite dangerous for these people. **Combining oil and garlic or fresh herbs can present a real risk for botulism. Plain homemade mayo (without garlic or herbs) can keep for about a week if it is sealed and refrigerated, but once you add garlic and herbs you need to be extra careful about refrigeration and use or discard within 2-3 days. See this article for additional safety tips. 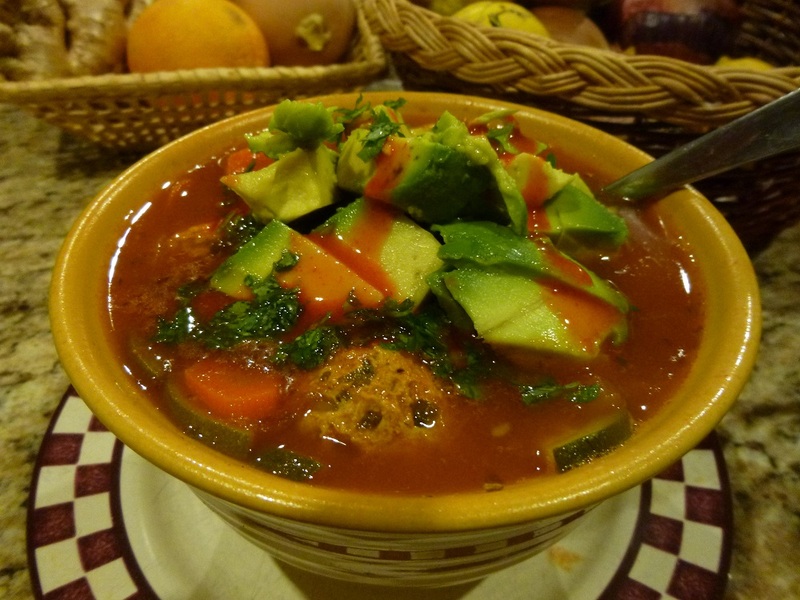 Put it in a bowl and mix it all together. Get your hands in there! Now press it into your pan. Mmmmmmmm raw beef…. Next, let’s get the topping ready. Nothing fancy here. Just plop it in a bowl and mix. 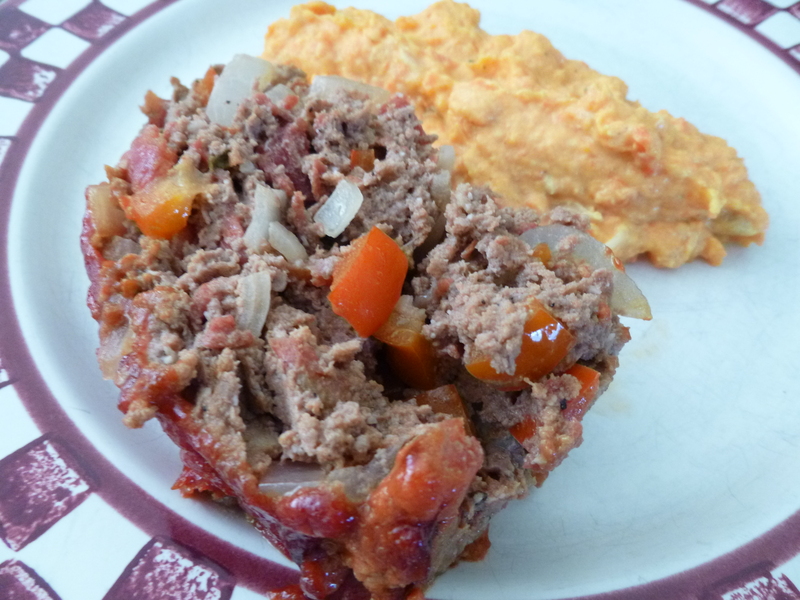 I served my meatloaf with a creamy carrot puree as a side (I’ll post that recipe soon, too!). Buen provecho! Combine all meatloaf ingredients in a large bowl. Use your hands to mix it all around, but be careful not to over mix because the heat from your hands will melt the fat in the meat and cause it to turn out denser. 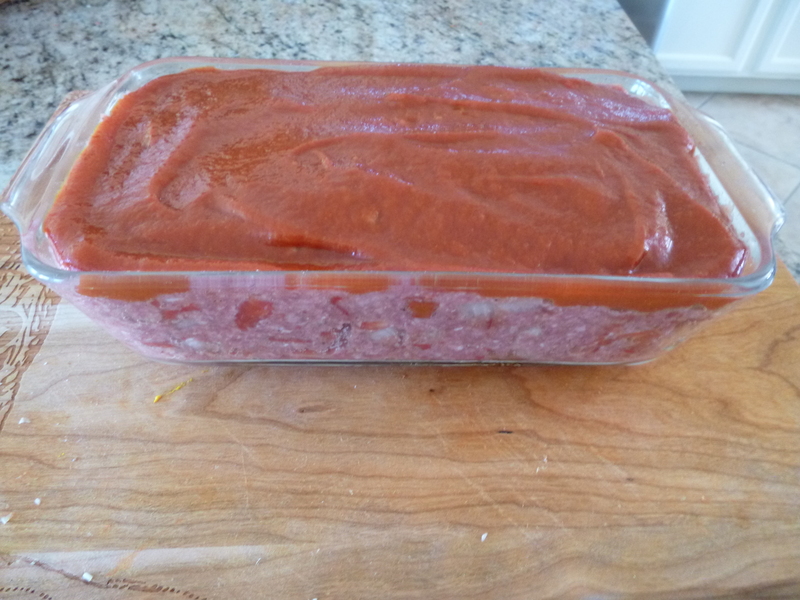 Press the meat mixture into a loaf pan. 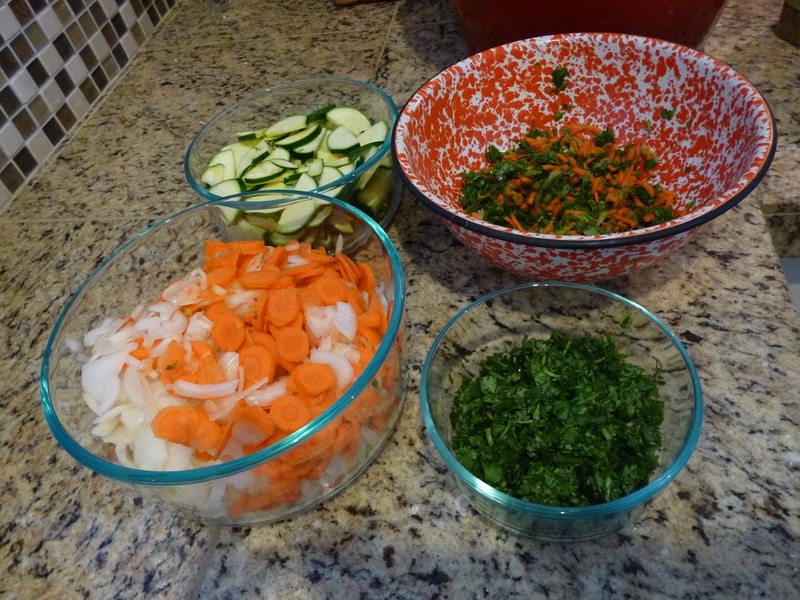 Mix together all the topping ingredients in a separate bowl. Taste and adjust seasoning to your taste. 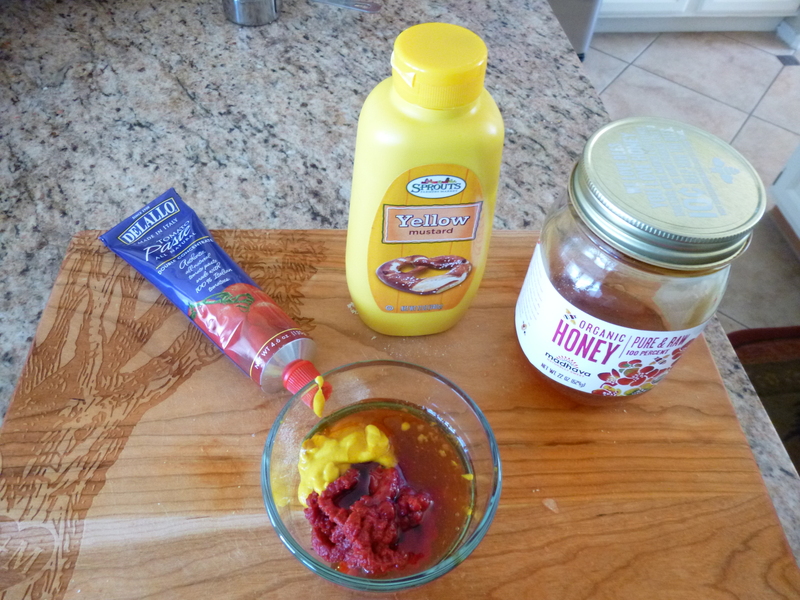 Add a little more honey if you like your topping sweeter, or a bit more mustard or vinegar if it’s too sweet. Spoon the topping mixture onto the meat and spread in an even layer. 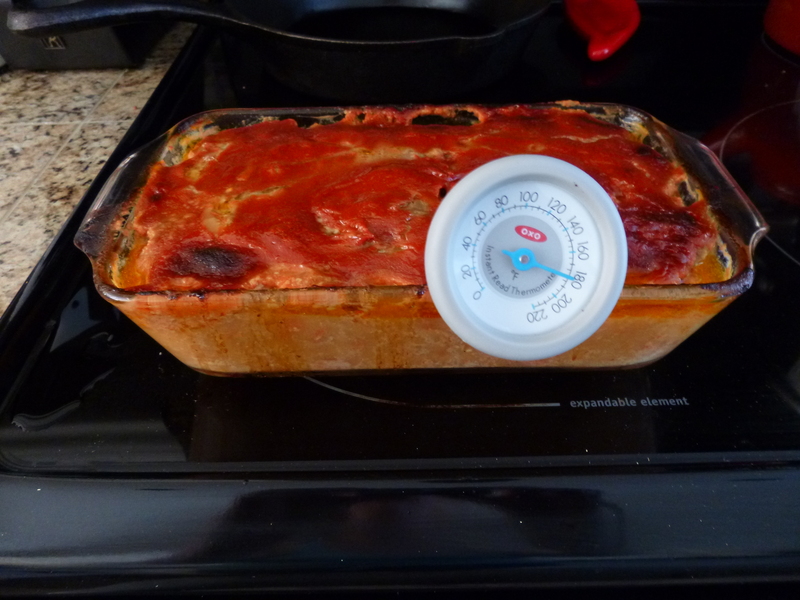 Bake for about 1.5 hours, or until a meat thermometer reads 160 degrees. You may want to start checking after about an hour, since the amount of time this takes to cook will vary based on the type of pan you are using, its dimensions, your oven calibration, and so on. I recommend placing the meatloaf on the top rack and a cookie sheet on the bottom rack of your oven underneath your meatloaf to avoid a mess if your loaf pan is very full like mine is. Let rest for at least 10 minutes before slicing and serving. You may notice that this meatloaf is swimming in a lot of juices and does not hold together quite as well as traditional meatloaf. This is normal; it occurs because there are no grains in the mixture to bind the ingredients and absorb moisture, but the flavor is still very pleasing. Just remove slices very gently using a spatula, and you can drain off excess liquid once the first slice or two are out. It is possible that using coconut flour instead of almond flour would yield a drier loaf because coconut flour is more absorbent; I may try this in the future and report back—if you try it, please let me know how it turns out! *Please note: No canned vegetables are SCD legal. 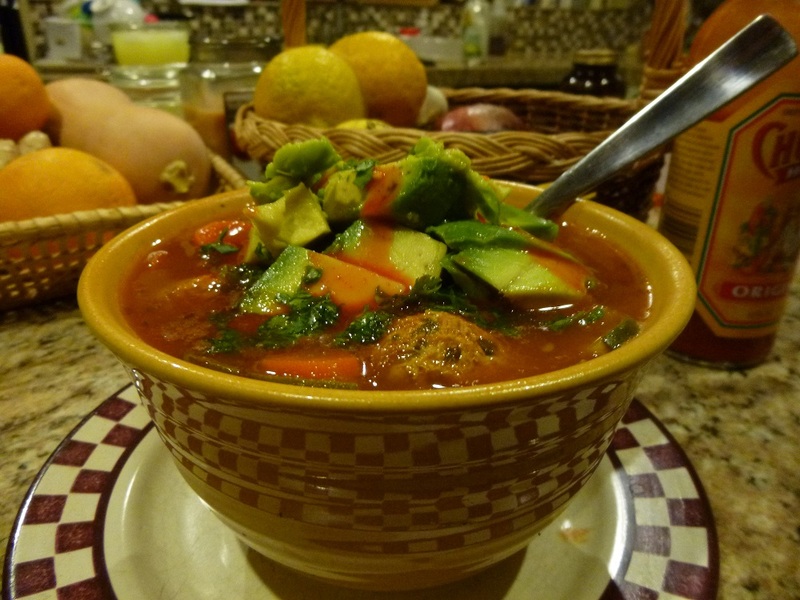 I used them anyway because that’s what I had on hand, and, as I’ve mentioned previously, my goal is to adhere as closely to the SCD as possible without it dominating my life. So, I used canned tomatoes. 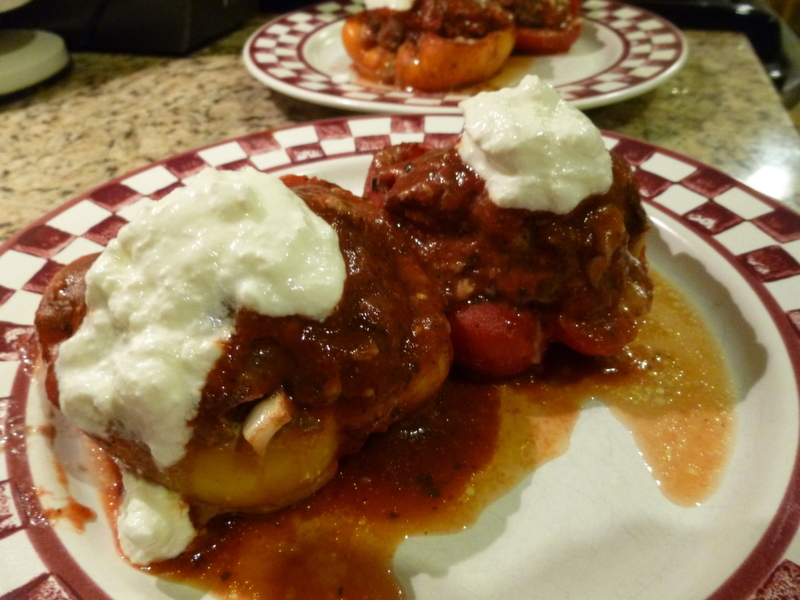 Here are my recommendations to make the recipe 100% SCD legal: Chop about 4 large tomatoes into large dice. Toss with olive oil, a sprinkle of salt and pepper, and about a teaspoon of Italian seasonings. Roast at 375 until very soft. 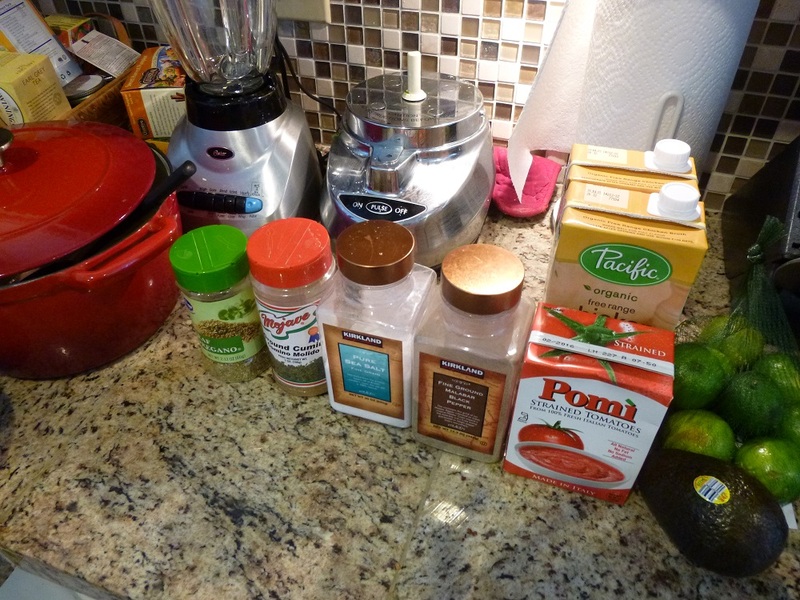 Process the tomatoes in a food processor until they are just slightly broken down. Substitute this for the canned diced tomatoes. For the tomato paste, simmer plain tomato juice on the stove until it is very reduced and season to taste with salt, then add the honey, mustard, and vinegar; or, substitute SCD legal ketchup and cut back on the honey and vinegar.